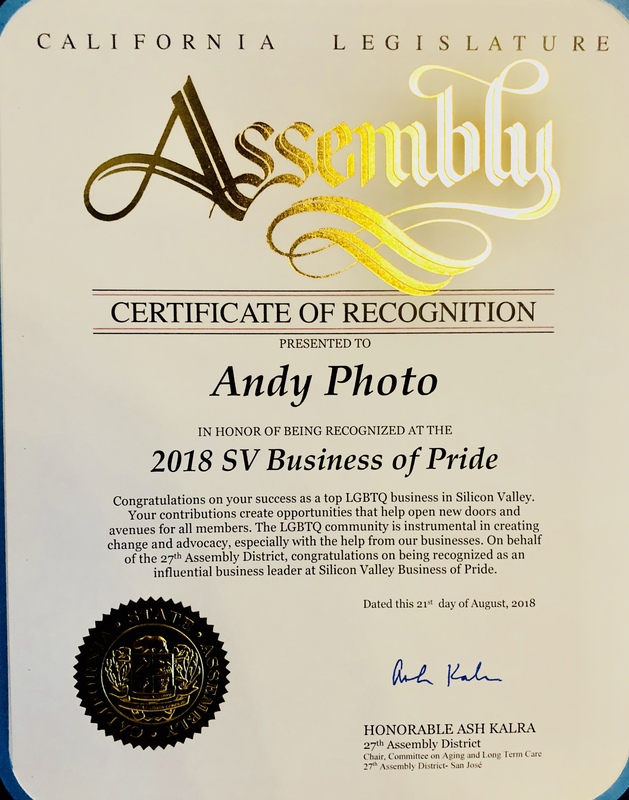 2018 Business Of Pride List Maker recognized by the CA Legislature & Silicon Valley Business Journal. 2018 1st Place Winner of the Big Ad Marketing Challenge by the Silicon Valley Busienss Journal & Wells Fargo. HI! Im Andrew of Andy Photo. 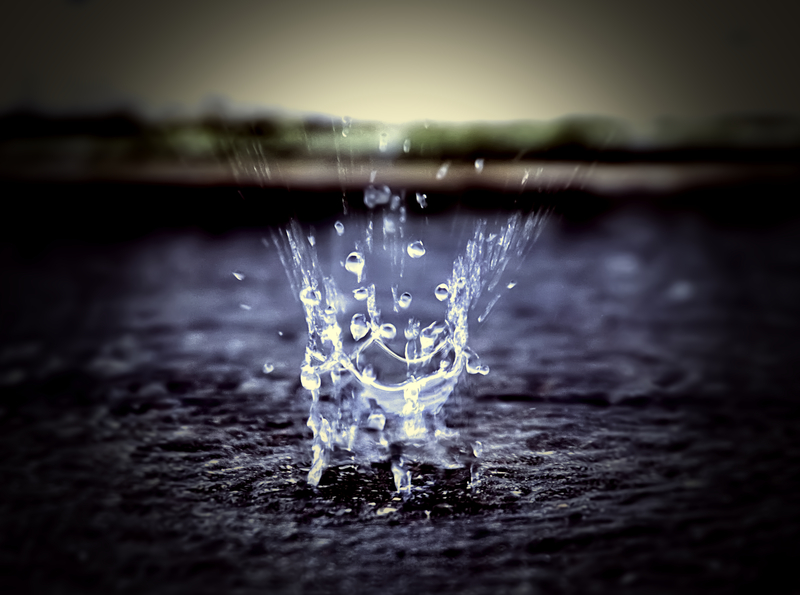 I Love photography and I want everyone to love what they see as well. I enjoy hearing the creative ideas of my clients as we work together to acieve their visual goals. A Photographet of 15+ years my focus in Visual Marketing and Advertising has brought many captivating images to small businesses. Cobtact me for a free consultation and service quote. $125 2 HOUR INTRO TO PHOTOGRAPHY AND PHOTO EDITING (BASIC TOOLS IN AFFINITY PHOTO WHICH MIRRORS ADOBE PHOTO SHOP. $150 2 HOUR INTRO TO DSLR VIDEO PRODODUCTION THEN (FIRST SESSION :::: THEN $50 60 MINUTES SESSION AFTER. THIS CLASS WILL COVER THE FUNDIMENTALS OF PRE-PRODUCTION, PRODUCTION, AND POST PRODUCTION. ORGANIZATION, BASIC EQUIPMENT USE. STORY BOARDING, TIME LINE. RECOMMENDED FOR UP TO 5-7 CLASSES. 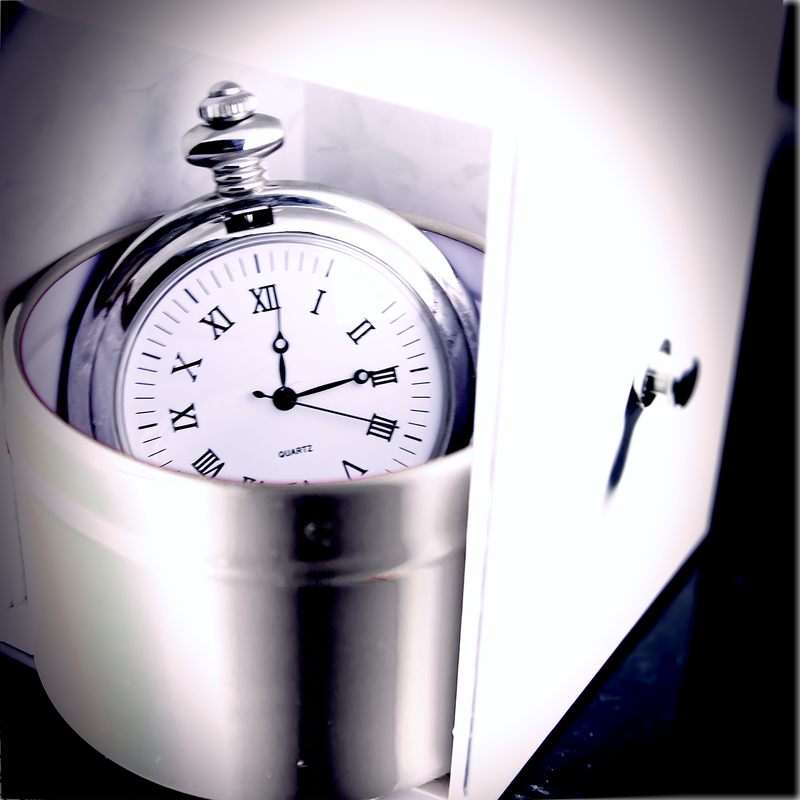 YOU WILL BE DOING ACTUAL VIDEO EDITING BY CREATING A SHORT FILM OR MUSIC VIDEO. CSU STUDENTS TAKE $10 OFF ANY LESSON. LOYAL PULILS WILL GET $25 OFF ALL SESSIONS FOREVER. AFTER COMPLETING AND PAID IN FULL OF 5 TOTAL SESSION GREAT WAY TO DO REFRESHERS, AND INTRODUCE YOYR FRIENDS TO AN AWESOME TIME LEARNING PHOTOGRPAHY AND VIDEO PRODUCTION. What i do isn't just my work it's my art, and more often than not, it always feels more like im doing my art than i am work. Student will find that i have a great balance of passion to the trade, and an excitement for the possible avenues being a creative producer brings as a career. Andy has an amazing eye for photography. The way he frames his subject and adjusts the exposure makes his pictures truly breath taking. Plus, he is great at photoshop. The lesson was easy paced, He encourages self expression, which was good I was not sure if my style of photography was gonna mix well. But we found we learned a lot from each other, my favorite portion of the class was he challenged me, to explore various angles without feeling like all eyes were on me. 've had a few school projects involving photography and photoshop. I've had consultations and critiques w/ the owner on how to make my projects more viewer friendly and aesthetically pleasing. With all the guidance provided by Andy Photo, I've gotten top marks on collaborating projects. Strongly recommend a company with such great vision. New students can expect a relaxed and comfortable enviroment and intro to the lessons they have arrived for. Plenty of examples, techniques, and time for questions will allow you to learn at your pace and get the answer that will come naturally during the course. I have been creating visual content and designs for over 15 years, that time has also been enveloped with thousands of hours working with ad agencies, small businessses, and private clients. As someone who started his path of photography at age 15, the tradition of maintaining a natural yet eye catching image is always the goal to create new and original work. My lessons are between $100-$150 depending on the technical aspect of the lesson, and can go for up to 2 hours in duration to allow for plenty of field work, lesson discussion and q&a. Photography is about observation as much as it is capturing what you see. planing, a shot, is just as paramount as seeing something you like and capturing it. my class is all about taking your time, and finding the patience to observe the world around the subject to determine the best angle and exposure for your image. during my time working at ad agencies it was a need to train interns to bring them up to speed on industry standard in visual design and marketing. thus it sparked a new interest in forming my own lesson plan that is clear, and understandable through all the technical aspects of the art. my students are typically adults looking to start a new hobby, or advance their current skill sets and challenge their knowledge and techniques while getting valuable critiques of their methods. i encourage full creative flow, the art is always going to be yours, my goal is to help you discover new ways of taking an awesome photo, and to get the mental block that keeps students taking the same photos over and over again. it's ok to ask questions that can help the teacher assist your advancement. remember we are human to and information changes all the time. our passion for our trade is fun for us because we balance knowledge with trail and error. we are always learning so, feel free to learn along. think about what style of photography that brings you to this point. why does it draw your interest? who would you like to influence with it? if it doesnt work out to the way you believe it should, are you going to stop, or are you going to try to find away to make it your own?